In 2017 the United States finds itself with a billionaire president who defeated, as adjudged by electoral college votes, the multimillionaire Hillary Clinton. In fact, high political office in the US has become a stepping stone to personal enrichment. Barack Obama is cashing in now with exorbitant book deals and speaking fees. It is highly illustrative of the divide between the working masses and the 1%-ers of Wall Street who effectively own the American political system. The politicians know the voters want change, but they also know who butters their bread. Empty campaign promises are followed by endless betrayals. Classism has been around a long time. Some amelioration has taken place, but the class divide remains enormous. Scott Noble is a brilliant thinker and excellent filmmaker. Working with the tightest of budgets he has produced several significant documentaries on power relations and the human condition – all available at Metanoia Films for free viewing. Metanoia’s recent release is the third installment of the Plutocracy series. 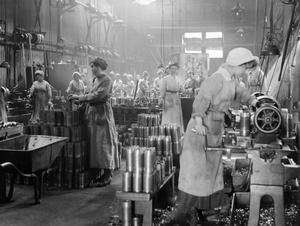 It is set around the period of the First World War, a time of unprecedented labor unrest and state repression. Class War begins in Ludlow, Colorado with the massacre instigated by the robber baron J.D. Rockefeller using the Colorado National Guard. Troops machine gunned a tent city housing striking coal miners and their families then set fire to the camp. Eleven children, two women and ten miners were killed. The Ludlow Massacre epitomizes how government has used violence at the behest of wealthy industrialists against the working class. Class War tells the tale of the Industrial Workers of the World (IWW), known as the Wobblies. The Wobblies were an anarcho-syndicalist union open to all skill levels, races, and sexes. Such progressivism was met with state violence, including the use of torture. Frightened of their appeal to poor workers, several states banned Wobblies from public speaking. As activist Brian Jones explains in the film, the Wobblies were “unwilling to accept terms of exploitation.” They devised innovative tactics such as sit-down strikes and revolving picket lines. This was an unacceptable challenged to the owner class. The organs of the state, police, security forces, and the so-called justice system were bent to the cause of the robber barons. Class War tells of Joe Hill, an IWW-union organizer and popular singer, song-writer. Among his songs was “Preacher and Slave” – a response to the Salvation Army preaching docility to workers. Eventually Hill was tried for the murder of a grocer and executed by firing squad. The evidence implicating Hill was flimsy at best. According to the film, the more likely culprit was a petty criminal named Magnus Olsen, who went on to serve as a bodyguard for the gangster Al Capone. Class War tells many stories of men and women who resisted the oppression of the age. Along with Joe Hill, we learn of Mother Jones, Lucy Parsons, Helen Keller, Frank Little, Emma Goldman, Alexander Berkman, Rosa Luxemburg, Anna Louise Strong and more. The fight for the dignity of labor was vast. When a movement becomes large, the age-old tactic is to divide it. The advent of WWI provided the state with such a divisive tool. The IWW was anti-war, but president Woodrow Wilson secured the volte-face of the American Federation of Labor whose union head Samuel Gompers was offered a government advisory position. Gompers was anti-IWW and an anti-socialist. This eased the government’s push for US entry into WWI. In his book The Great Class War 1914-1918, historian Jacques R. Pauwels compellingly paints WWI as a class-war instrument. Anti-war socialist Eugene Debs noted that workers were the chattel for wars. He captured the public sentiment such that, in 1916, one group of Nebraska citizens petitioned for a constitutional amendment whereby any politician casting a vote for war would be required to volunteer for war duty. Needless to say, the petition failed. A split occurred among women’s groups and socialists in opposition to war. This split was brought about by – as Christopher Simpson, author of The Science of Coercion comments – “feel good propaganda,” as well as the slandering of anti-war people as cowards and traitors. In Illinois, a German immigrant and socialist named Robert Prayger was lynched after being falsely accused of being a German spy. Propaganda, disinformation, and false flags were part of the imperialist repertoire. The ocean liner RMS Lusitania carrying munitions from New York to England was sunk by a German U-boat. Americans on board were sacrificed; American conscription was enacted. In Oklahoma, on August 1917, a coalition of desperately poor sharecroppers and tenant farmers opposed to conscription and the war began a march on Washington. It was called the Green Corn Rebellion. Notably the coalition was multi-racial, made up of blacks, whites, and Mukogee people. The rebellion was violently halted by posses organized by business leaders and state officials. The Wobblies were entrenched as enemy number one. Two leaders (Frank Mooney and Warren Billings) were framed for a bombing in San Francisco and spent 20 years in prison. IWW offices were raided and union leaders arrested under the Espionage Act — which prohibited any attempts to interfere with the war effort. Among others imprisoned under the legislation were socialist leader Eugene Debs and anarchist leader Ricardo Flores Magon. Following the horrifying Prospector mine disaster in Butte, Montana, IWW leader Frank Little arrived and urged Americans to “fight the capitalists but not the Germans.” He was lynched by “capitalists interests” the next day. Little’s murder was especially brutal: he was tied to the bumper of a car wearing only his underwear and dragged down the street for several miles, then strangled to death. No suspects were charged by authorities, some of whom were considered complicit. State actors and right-wing vigilante groups such as the Klu Klux Klan and American Protective League (APL) terrorized unionists and socialists, culminating in the Red Scare. The Sedition and Immigration Acts of 1918 sought to further curb the actions of dissidents, allowing for the deportation of anarchists and other “undesirables.” It was during this period that the Bureau of Investigation (later the FBI) became a force to be reckoned with. A new “radical” division headed up by a young J. Edgar Hoover engaged in a campaign of terror against poor immigrants. Their tactics included assault, false imprisonment, unconstitutional search and seizure, the use of agent provocateurs, and ultimately deportation. 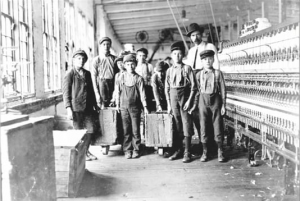 Worker rights could be viewed as a backdrop to WWI. The war caused an industrial boom. The cotton crop decimations led to the migration of African Americans northward. They were met with hostility and later race riots. Unlike most liberal and quasi-left analyses of racism, the film does not blame “white people” as a group. Instead it draws attention to the ways in which poor workers were turned against each other in their desperate attempts to survive in a capitalist economy. The year 1919 was a high point for strikes. Class War winds up in Seattle where workers staged a general strike for the right to a living wage, worker safety, and free speech. Labor sought to avoid harming others through the strike and issued passes for necessary work (e.g., doctors and nurses). Nonetheless, the workers’ vision for a just society was again put down by the state. Class War documents how the government has always sided with money against the worker. The state’s arsenal against unions and labor has included war, propaganda, disinformation, agents provocateurs, violence, false flags, state agents (police, FBI, vigilantes, the attorney general, courts), and the so-called justice system. The film presents a plethora of information, with first-rate narration, at an appropriate pace for it to sink in. There are plenty of fascinating snippets of little known history, and there are also some inspirational sequences to offset the often grim subject matter. Class War is a necessary backgrounder to understanding our present situation. The viewer will be able to identify obvious parallels with current events. 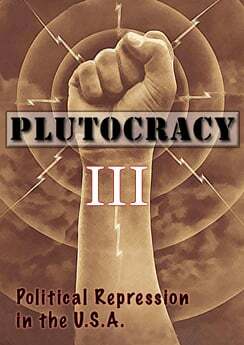 Filmmaker Scott Noble hopes to bring the Plutocracy documentary series to the present day. I hope to see that. Metanoia Films is currently raising funds to complete subsequent entries in this worthy series. You can donate here. Kim Petersen is a former co-editor of the Dissident Voice newletter. He can be reached at: [email protected]. Twitter: @kimpetersen.